Adventures in humdrum dungeon crawling. Adventure Time: Explore the Dungeon Because I DON'T KNOW is one of those games that had the potential be crazy amounts of fun. Good source material with the Adventure Time license, a nice visual throwback to the 16-bit era, and what seemed like the perfect genre selection. 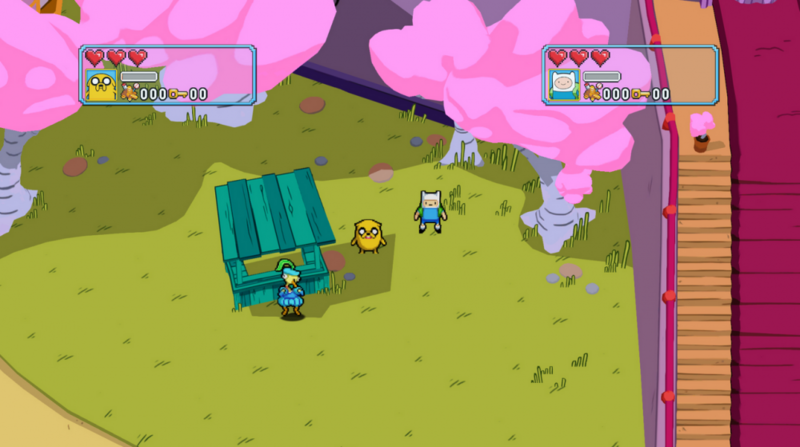 Despite all of this, Adventure Time: Explore the Dungeon is a slow, repetitive, mundane mess of a game with ho-hum items and uninspired gameplay. What went wrong? Pretty much everything. The story in Adventure Time: Explore the Dungeon Because I DON'T KNOW goes something like this: Princess Bubblegum keeps prisoners in a Secret Royal Dungeon far below the surface. Unfortunately, it looks like some of those ne'er-do-wells are escaping. Who does she call in to help? Finn the human and Jake the dog! Oh, and Cinnamon Bun and Marceline want to help, too. Because... I don't know. Starting on the surface, talk to the princess to get your first quest. Next, dive into the dungeon, fight some enemies, pick up some loot, emerge victorious, spend your treasure, then do it all again, this time fighting a few floors deeper. This is the premise behind many old school dungeon crawlers, but the difference is they actually do interesting things with the genre instead of just skim the surface. Adventuring requires attacking, and Adventure Time: Explore the Dungeon gives you a few ways to fend for yourself. You have a standard attack, which varies in power and speed between characters. You can pick up sub-weapons that range from useless bamboo sticks to almost-as-useless kitty cannons, with a few purposeful items thrown in from time to time just to make sure you're paying attention. Each character has a special ability, but those skills are so lackluster they don't even matter. Jake can stretch across gaps. Marceline can float across gaps. Cinnamon Bun can shove enemies while blocking. Finn can equip extra items. Crazy fun-sounding, right? Bet you can't wait to float across a gap. Up to four local players take control of the characters and engage in repeated dives into the dungeon's seemingly identical levels. You start on Floor 1 and work your way down to Floor 100, encountering more dangerous foes the deeper you go. 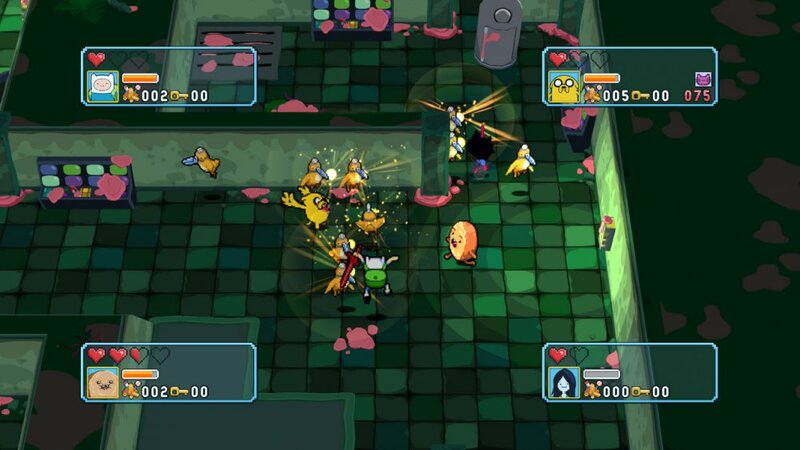 Boss battles happen at regular intervals, and you can take your loot and run every five levels, returning to the surface to cash everything in before doing it all over again. Page created in 1.3163 seconds.